In January 1978, an announcement was made by the then Prime Minister of Jamaica, Hon. Michael Manley, that the government of Cuba was making a grant to jamaica in the form of learning institutions. These included the Jose Marti Secondary, Garvey Maceo, and G.C. Foster College. The G.C. Foster College was to be established in Spanish Town and its purpose was to train teachers and coaches for the important task of physical education in Jamaica, with special emphasis on serving the Ministry of Sports in those areas. In March of that year a joint team consisting of three representatives from the Ministry of Youth, Sports and Community Development, and officers of the Agency for Public Information (A.P.I.) went to Cuba. This was to have an idea of what similar institutions looked like and their relevance to the Jamaican situation. On their return, a report was made that indicated that substantial modifications would be necessary because the Cuban institutions were serving a society with a different social structure. G.C. 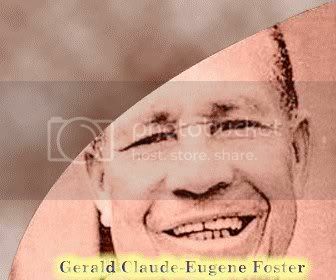 Foster of Physical Education and Sport, a tertiary level institution, is named in honor of the legendary Gerald Claude Eugene Foster, a dedicated and versatile sportsman who was born in Spanish Town in 1885. His Maxim, always quoted to his athletes, was "Mens sana in corpore sano" (A healthy mind in a healthy body), which has become the College's motto. Foster started his illustrious sporting career as a schoolboy attending Wolmer's Boys' School in Kingston, excelling particularly in track and field, and cricket. At this school he was strongly influenced by the late William Cowper of Classical fame, learning the discipline of body and mind as taught by the ancient Greeks who first held Olympic Sports. At the young age of 19, he set a Jamaican sprint record in the 100 yards category, resulting in his being hailed as Jamaica's sprint champion. After the 1904 Olympics, he competed in Lancashire and Yorkshire in England, winning six races, in the most famous of which he beat the Olympics third place winner. Throughout its relatively short but impressive history, the G.C. Foster College of Physical Education and Sport has had four dynamic principals at its helm, and three other stalwarts who have served as acting principals. The First principal, renowned Sportswriter and historian, Mr. James Carnegie, served in 1980 after which Mr. Alfred Phillips served as acting principal until Dr. Gloria Burke took over in 1981. She was head of the institution for five years from 1981 to 1986 after which Mr. Edwin Murray, who has served the college for over 24 years and who currently serves as a vice-principal, acted as a principal from August 1986 to January 1987. A month later, Miss Lydia Malcolm, Administrator, took over the reins, until Mr. Noel Monteith, remembered as Senator Monteith (he is a former Government Senator) succeeded her as principal in September 1990. He served until 2001. Subsequent to his departure, Mr. Kenneth Gardner acted in the post from 2001 to 2004 until the current Principal, Mrs. Yvonne Kong, was appointed in 2004.